Liz asked if I had a good vanilla cupcake recipe. I sure do! 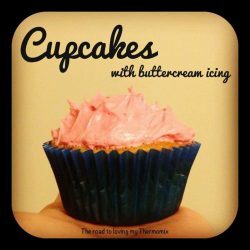 These are my fave, fave, fave cupcake recipe and are very addictive. 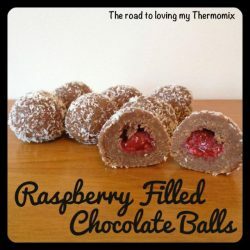 I will be honest and say I prefer to make these in my kitchenaid mixer as I find the mix comes out nice and fluffy but in saying that there is nothing wrong with the Thermomix version either. They are very similar. These are delicious. You can freeze these un iced too. 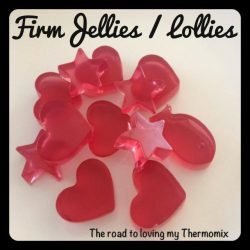 I'm experimenting and trying to make my own gummy lollies. These are more of a very firm jelly texture and not the right texture to be classed as a gummy lolly in my books. 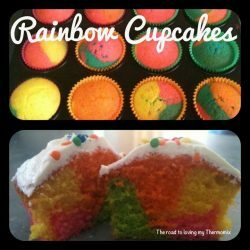 These would be good for the lunch box as they hold their shape really well or for parties. You could do a rainbow of colours. Originally posted to our Facebook page 19th December 2013. 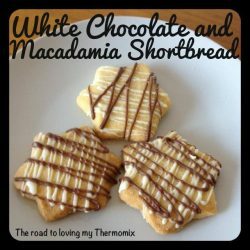 Using my basic Vanilla Bean Shortbread recipe you can make so many variations. This is just one of them! Originally posted to our Facebook page 7th December 2013. 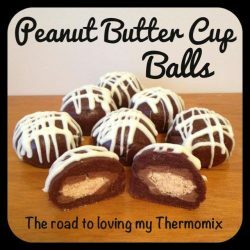 Another recipe to use up the excess peanut butter cups I have here. Fudge!!! 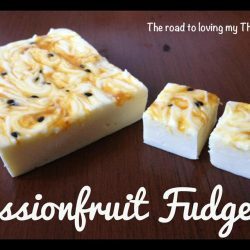 This is a small batch of fudge. I set mine in a loaf tin. If you are wanting a bigger batch you can double it. 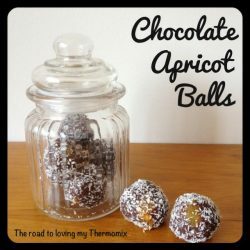 Another variation on the Chocolate Balls I posted the other day. All you need to do is add about 8 (or more if you like) diced dried apricots to the mix before rolling. Too easy! Originally posted to our Facebook page 6th December 2013. 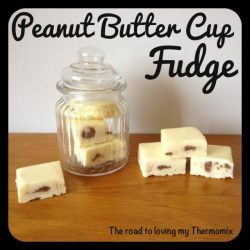 I have been trying to find a way to use up the abundance of peanut butter cups that we have here (thank you Costco!). We are heading to my brother in laws house for dinner tomorrow so I have made these for him. Hope he likes them! Yum yum yum! I finally had success with this one. 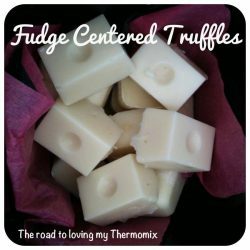 This is a small batch of fudge. I set mine in a loaf tin. If you are wanting a bigger batch you can double it. Originally posted to our Facebook page 4th December, 2013. 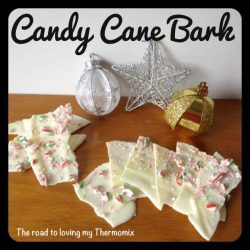 These are a yummy Christmas treat if you are on a budget. I have another two variations on this to post today as well. 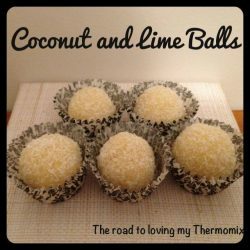 Very versatile base recipe. 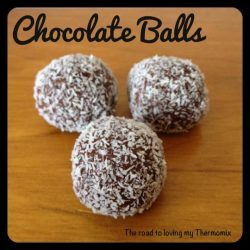 The trick is to use a flavorsome cocoa powder (or cocao). Surprisingly I love love love Homebrand 100% pure cocoa. The taste is rich and delicious!!! I'm in heaven. There are fancier versions of this out there I'm sure but this is perfectly fine for me. 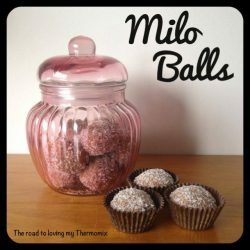 I had a few spare ingredients leftover from my cookies and cream chocolates and milo balls so made this up as I went along. This is just a small batch. I would recommend doubling it if giving for gifts. Originally posted to our Facebook page 21st November 2013. 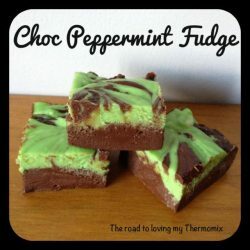 Another one to add to my Christmas goodies list. Have you seen my note on Christmas gift ideas? I used this link and tweaked ever so slightly. I didn't check the weighs as I went so it is using cups rather than grams. Originally posted to our Facebook page 17th November 2013. 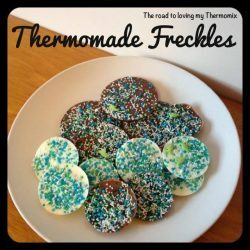 These are super easy and a fun cooking experience for kiddies! My boys had lots of fun helping me make these. Originally posted to our Facebook page 16th November 2013. Another Christmas gift idea. 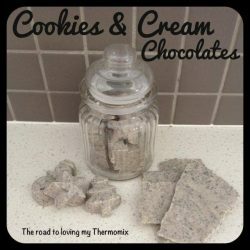 I'm a sucker for cookies and cream anything!!! 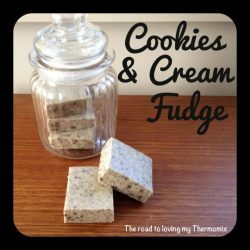 You can put these into moulds or break into shards and place into a jar or gift box. Originally posted to our Facebook page 13th November, 2013 Goodness me this is delicious! Not healthy in any way, shape or form though so a little piece is all you need. It is quite rich. This would make a great Christmas gift. Yum, yum, yum! Originally posted to our Facebook page 12th November 2013. 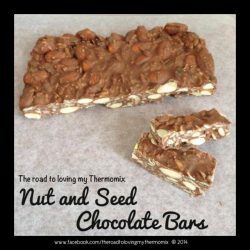 This has been my go to recipe for as long as I can remember. 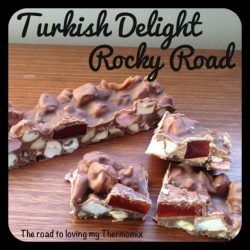 I love Turkish Delight a little too much!!! This makes great Christmas gifts.